Collaborative art, design and thoughtfully made goods handmade in Prince Edward County, Canada by Leanne Shea Rhem and Zac Kenny. Nov 5th, 2016 – Cheerfully Made Holiday Market, 10am-4pm in Almonte (near Ottawa) at Almonte Old Town Hall. Dec 3rd, 2016 – Fat Goose Holiday Craft Fair, (Hours to be announced) in Kingston at Grant Hall, found at 35 University Ave, Queen’s Campus. Dec 10th & 11th, 2016 – Busy Hands Craft Sale, Saturday 9am-6pm and Sunday 10am-4pm in Wellington at the Essroc Arena 111 Belleville St. in Prince Edward County. …and a few soon to be announced pop-ups around “The County”. We’ve got some exciting new product announcements coming soon too so stay tuned! What a whirlwind the past year has been! Zac and I got married in June, had relatives visiting from around the world, had our pop up shop at the beautiful House of Falconer in Picton until October and launched a bunch of new products and patterns. We just came back from our first One of a Kind Show where our bee pillow that we designed last summer was featured in their ad campaign. Along with the excitement of the show we got word that we were feature on Reader’s Digest list of the TOP 10 CANADIAN ARTISANS TO WATCH! I am pleased to announce that all new products and patterns are now available through our Etsy shop or at our home studio by appointment located at 14 Maitland St. Picton, ON (613)846-0014. Here is the long awaited summer workshop schedule with our first class on Sunday Aug 9! Check out what we’re offering and if your interested send us an e-mail at goldandginger@gmail.com and register, space is limited. 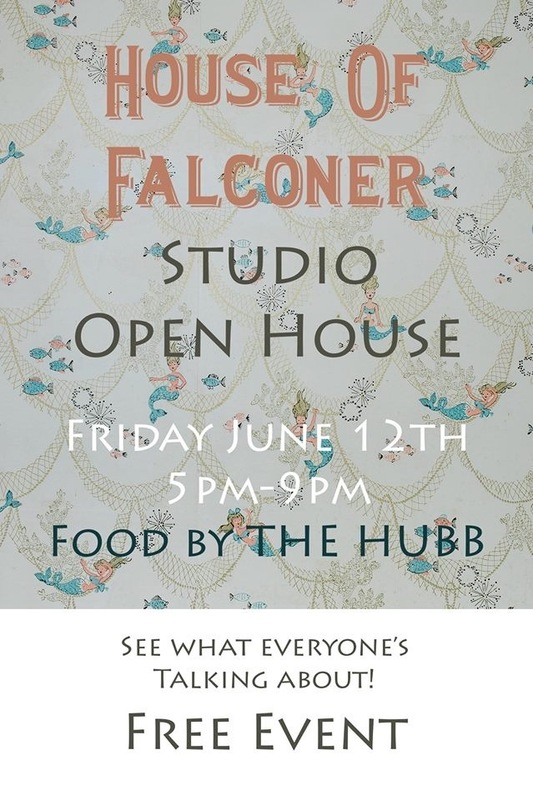 Join us in the Gold and Ginger studio this Friday June 12th from 5-9 at 1 Walton Street in Picton, Ontario for a night of art, architecture and laughs. Come check out the shop and the new studio! Gold & Ginger summer workshop survey! To kick off my new resolution to post once a week I thought I`d kick it off with a free Valentines day card printout (8.5 x 11 inch paper). Hope you like it! I'd LOVE to get updates via Email.